Our busy summer season is just around the corner and with that so many businesses open their doors again to locals and visitors. 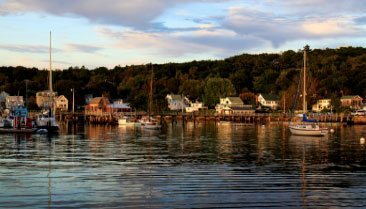 When you think about things to do while you are here in Boothbay Harbor, it’s easy to think of things to do during the day time. There are numerous outdoor ideas like the beaches, harbor trips, shopping, and much more. When the sun goes down, restaurants and bars are hot spots. One way to be entertained well into the evening is by attending a show at the Opera House in Boothbay Harbor. Let us at Topside Inn show you how you can have a great evening at the Opera House. The history of the Opera House building here in Boothbay Harbor is a very interesting one. The building was constructed in 1894 and for most of its time, it was the headquarters for a fraternal organization called Knights of Pythias, which was a part of the Freemasons. When the order moved on to another site, the building has since been used as so many things here in Boothbay Harbor. At one point it has been a school gym, indoor mall, and a host of many other things. In 2002, a group of citizens saved the building and turned it into what it is today, the Opera House. There are 3 floors to the building and with it comes the ability for a variety of many different types of events. 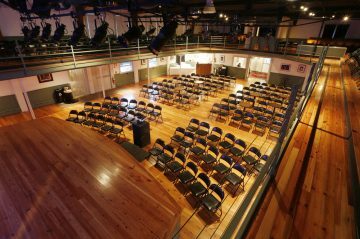 In the main space, you can fit around 400 people for an event. The gallery upstairs hosts smaller events like intimate performances, exhibits, and dinners. The third floor is where the behind the scenes magic takes place in the form of offices, rehearsals, and more. When you go to a performance at the Opera House, you will be amazed at the history of the building, its acoustics, and how there is never a bad seat. Let’s have a look at a few of the performances that will be here this summer at the Opera House. Portland String Quartet– This performance will be held May 24th at 7:30 pm and tickets are $20 in advance and $25 day of. This is an annual concert and is one that is popular each year. Caribbean Night– Join the Pan Fried Steel Band for a fun night of music, drinks, and dancing on April 9th at 7:30 PM. Tickets start at $12 and are $15 on the day of the event. Hometown Hootenanny– Join everyone on April 2nd for a wonderful evening of dancing, local musical talent, and plenty of laughs. Gary Blackman and the Murky Waters Band will be there this year to keep the party going. The show begins at 7 pm and tickets are $10 or $15 day of. Breakers Jazz Band– This show will be on July 6th at 7:30 pm and while the show is free, donations are encouraged at the door to help support the Opera House. This Maine jazz band is known for showing everyone a great time. There will be room to dance or you can just sit and enjoy the wonderful sounds of jazz. As you can see, there is always something fun to do when you are here in Boothbay Harbor. Having a fun and active season is one of the main reasons why so many people enjoy coming to Maine in the summer. 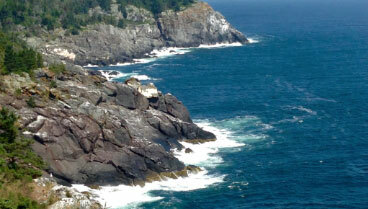 When you are in our area, consider staying with us at Topside Inn. 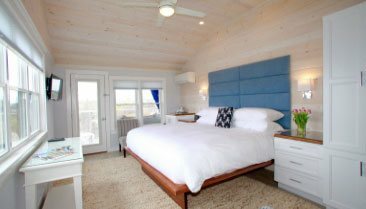 We have more than enough room for our guests as well as incredible views. Our B&B is located close to town and to many area activities. 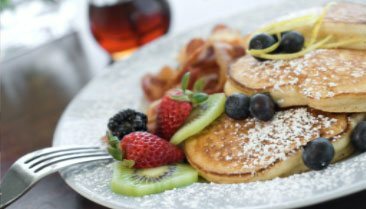 Start each day with us with a delicious breakfast that will surely get you moving for the day ahead. Contact us today and let us help you plan a wonderful trip to Maine this summer as well as ask about our VIP seating at the Opera House.